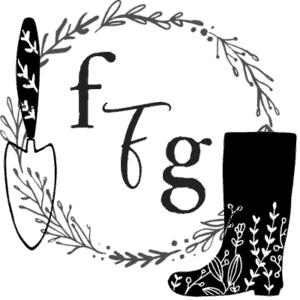 Winter Greenhouse Gardening in Canada? You betcha. At least that’s what I’m working towards. This is my second year with a greenhouse for the winter months, but as we moved in September and the greenhouse was full of weeds, this is really my first year aiming for more winter vegetables. 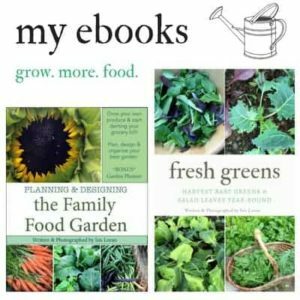 I’m experimenting with timing, growing the right varieties and using an unheated greenhouse. 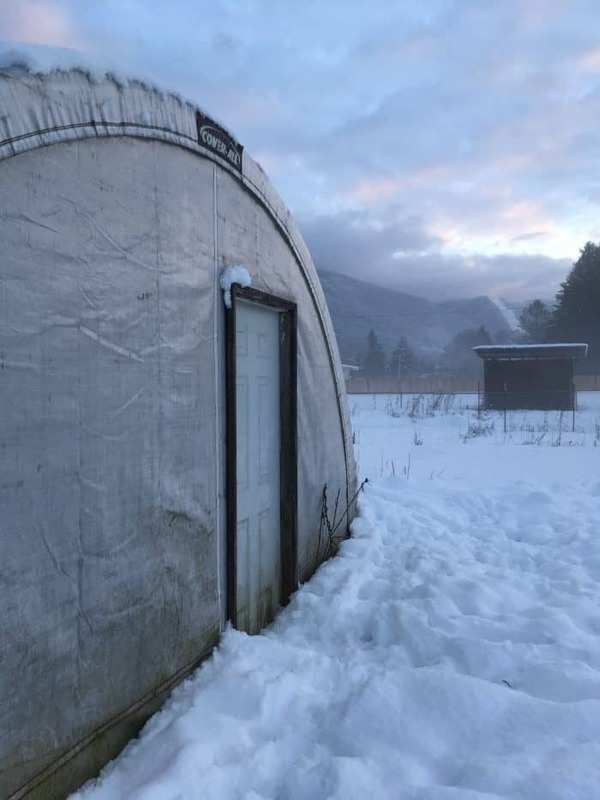 So how cold does it get here for our unheated winter greenhouse? 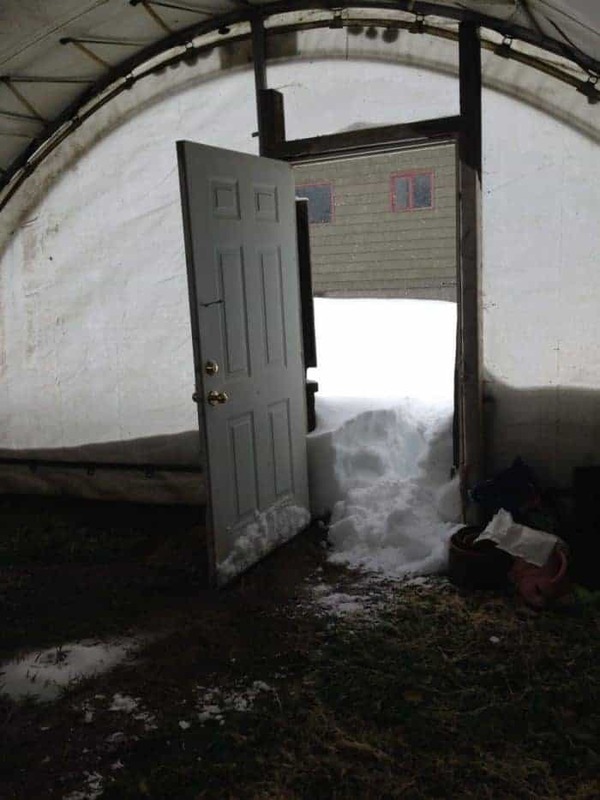 The coldest it gets here is -20C/-4F however it often goes above 0C/32F during the winter creating opportunities to harvest winter veggies. You always want to make sure you harvest veggies after they’ve thawed out otherwise they’ll end up mushy. 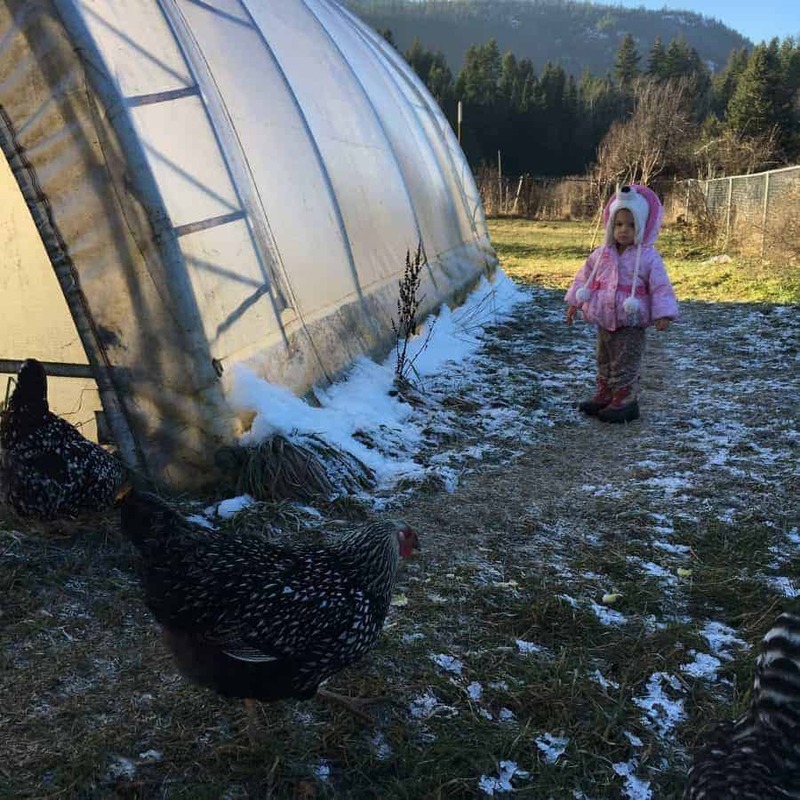 Our winter veggies go through freezing and thawing for a lot of the winter. 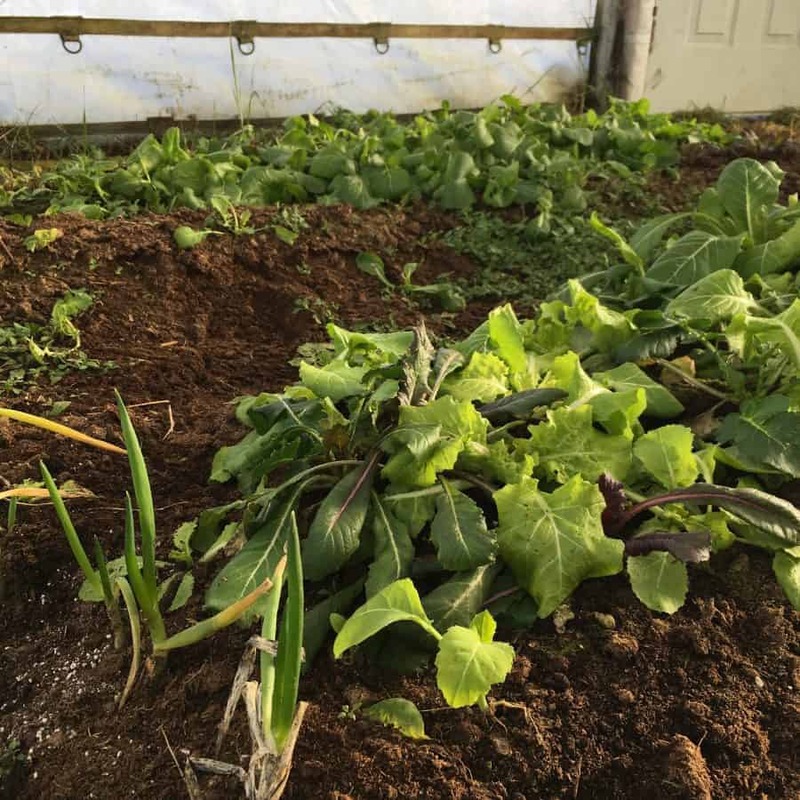 After thawing winter vegetables will perk back up! See the snow in the background? I’m also learning a lot by observation, some crops I’ve been leaving in the ground to see their cold tolerance threshold. 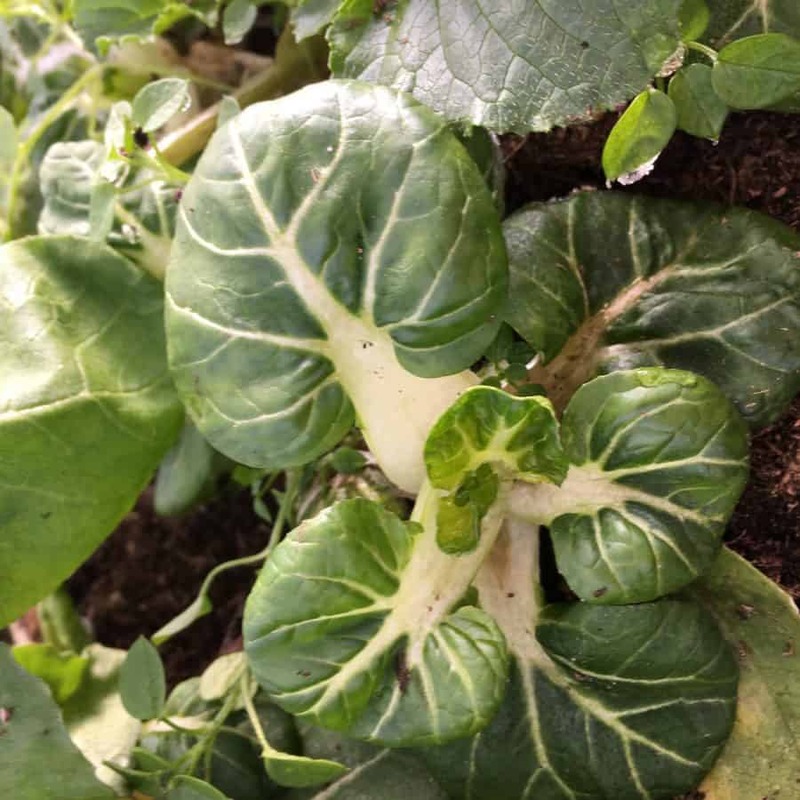 For example our baby bok choi was happy until the end of December when it reached -10C/14F. 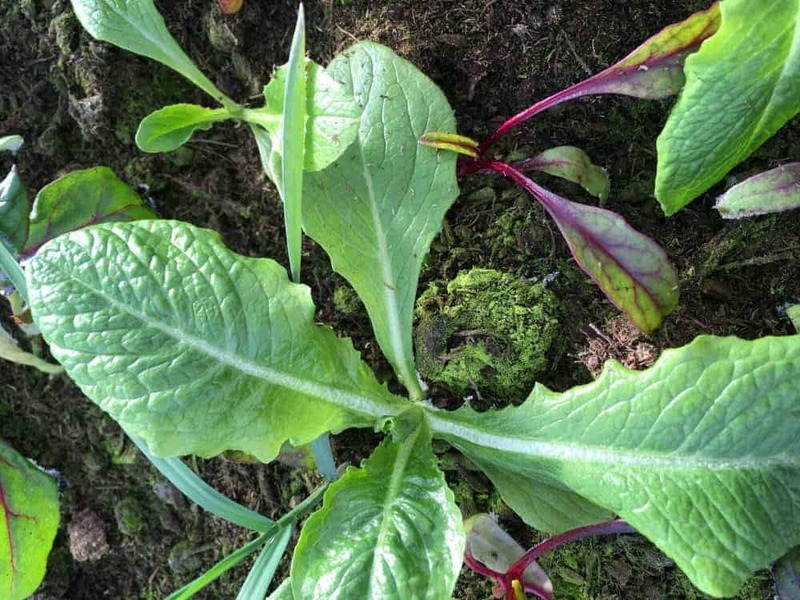 What are the best winter vegetables for a greenhouse? Some crops can handle cold temps better than others. 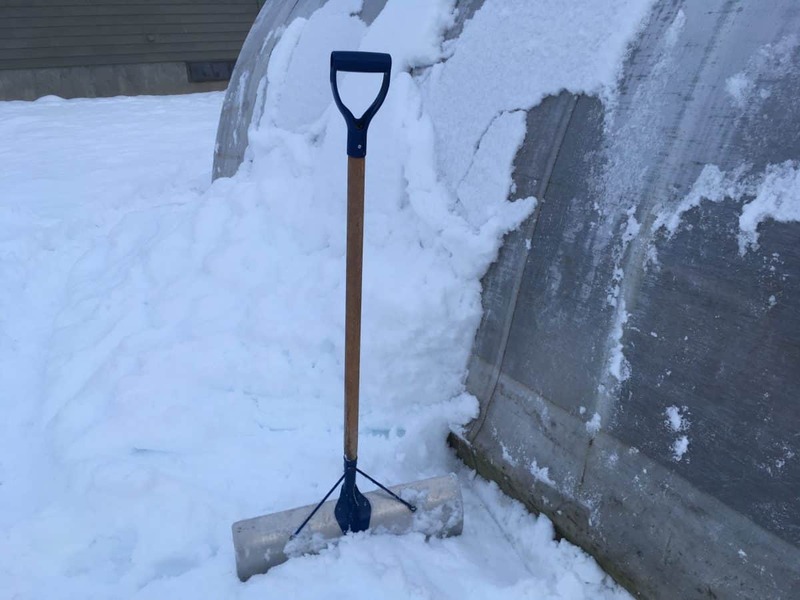 Remember some of your crops you’ll be able to harvest when they thaw out, or perhaps your winters don’t always get very cold until the January and February months. Every winter will be different year to year, we’ve had our coldest snaps in November and had rain instead of snow some years in Jan/Feb! Remember seed catalogs will often mention cold hardiness too, so pay attention to varieties because some have better cold tolerance than others. Be sure to try out and experiment with your microclimate too. 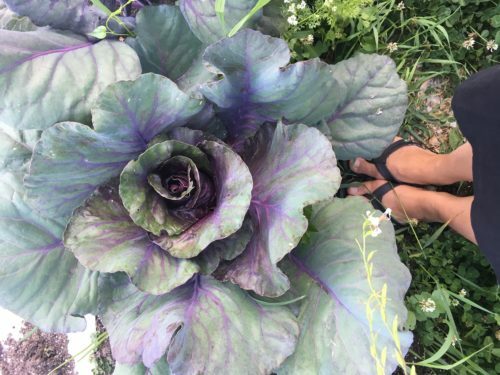 I often overwinter many veggies that aren’t harvested during the cold month too. All of these veggies need careful timing and this might take some practice! The other tricky thing is sowing crops in a hot greenhouse. 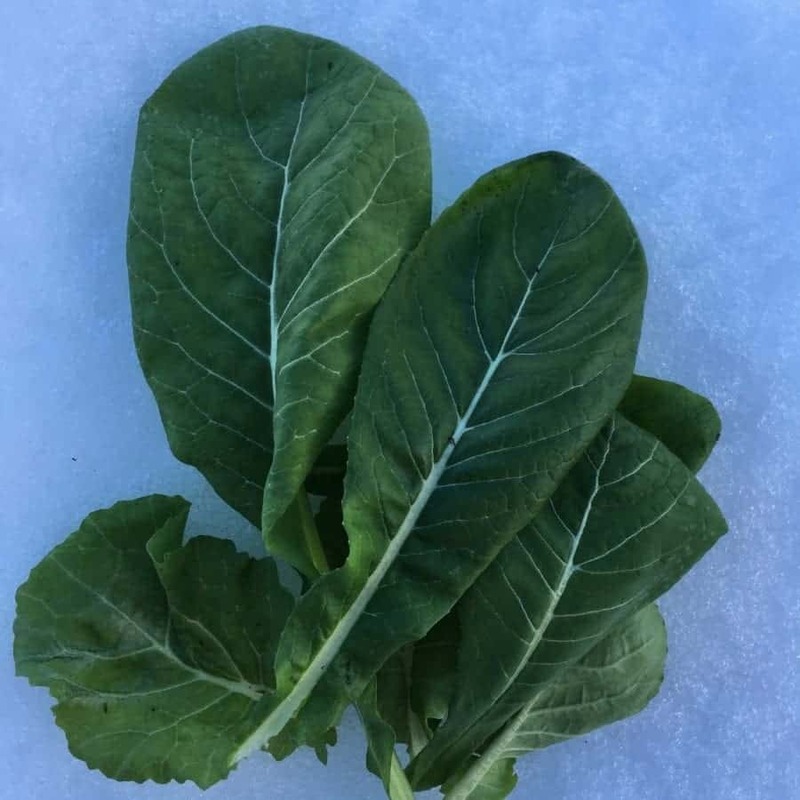 I’m still working on getting varieties and timing right, but we had great success with a lot of the greens and many of them will overwinter for early spring harvests. 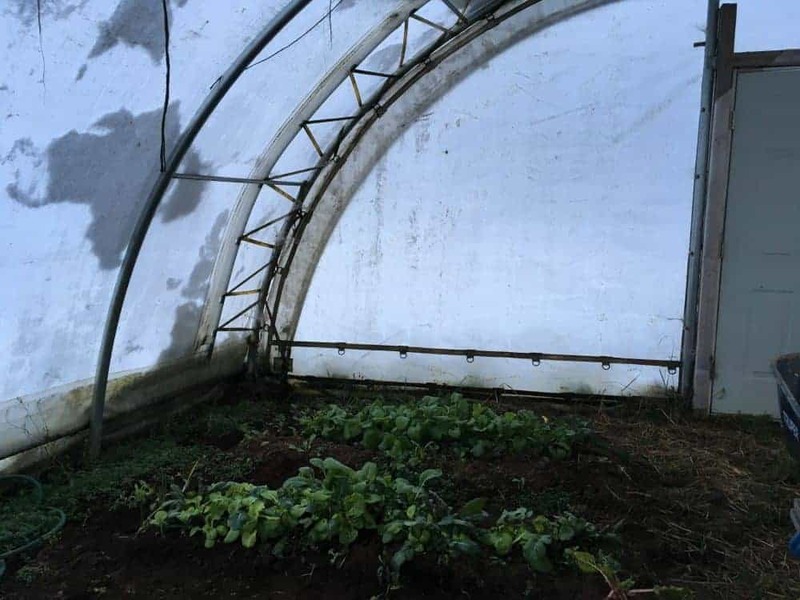 When we had our polytunnel greenhouse we often used a double tunnel for extra warmth for early spring soil warming and planting. 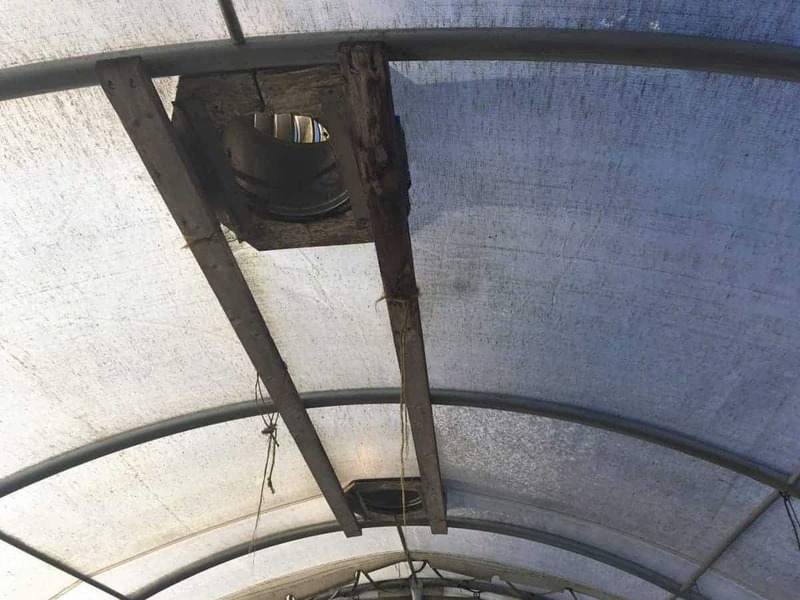 Next winter I want to create some low tunnels inside the unheated greenhouse to have that double cold protection effect. I first read about that in Eliot Colemans fantastic books on winter gardening. 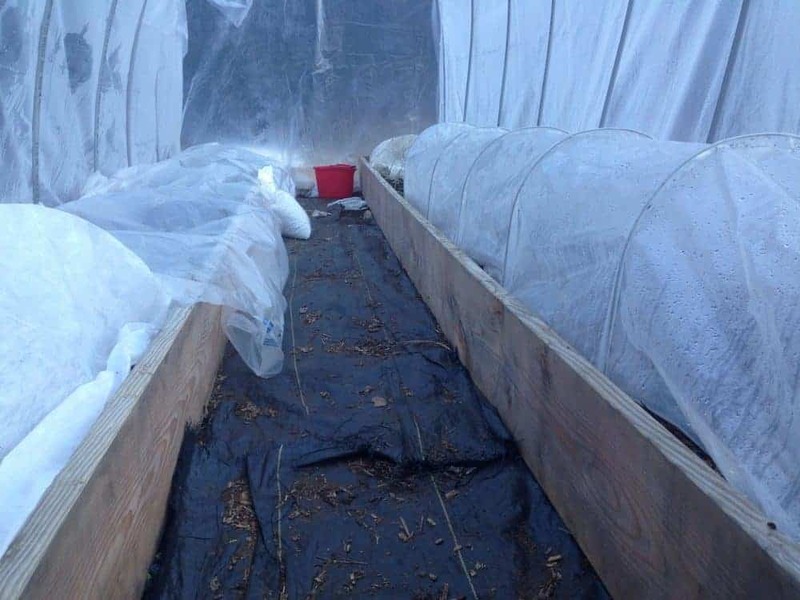 Have you tried unheated winter greenhouse gardening? 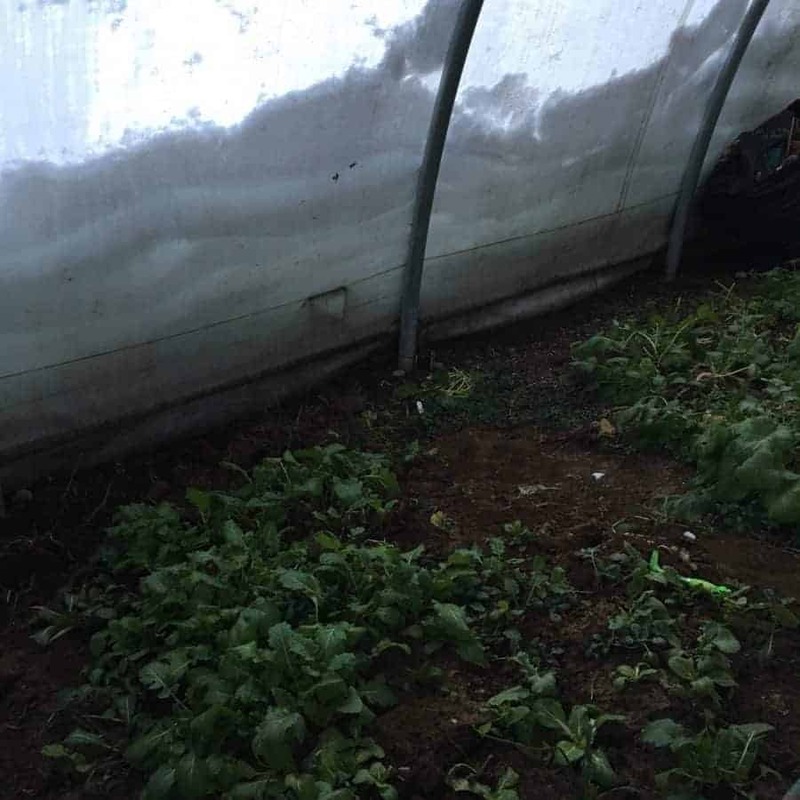 We have an unheated greenhouse. Spinach and slow bolt cilantro does the best. We did the low tunnels last year and they did well. This year there just wasn’t time. It is a snow storm today so added protection I put an old blanket on my plants. 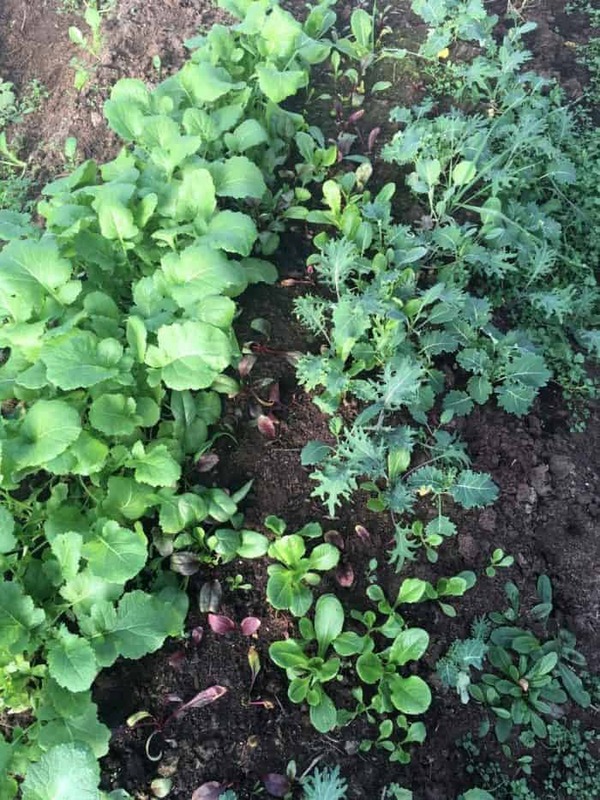 I keep my lettuces as you do… letting them freeze and thaw and they come back just fine. Thank you for your post! I love that you’re winter gardening! Thank you for sharing. Your year-around gardening posts inspired me to build 3, 8×10 raised beds with hoop houses. Zone 8 and I’m thinking of direct sowing my tomatoes mid-February! I would love to see a post about how/when/what to start early for spring I’m an untested greenhouse. Love your stuff! 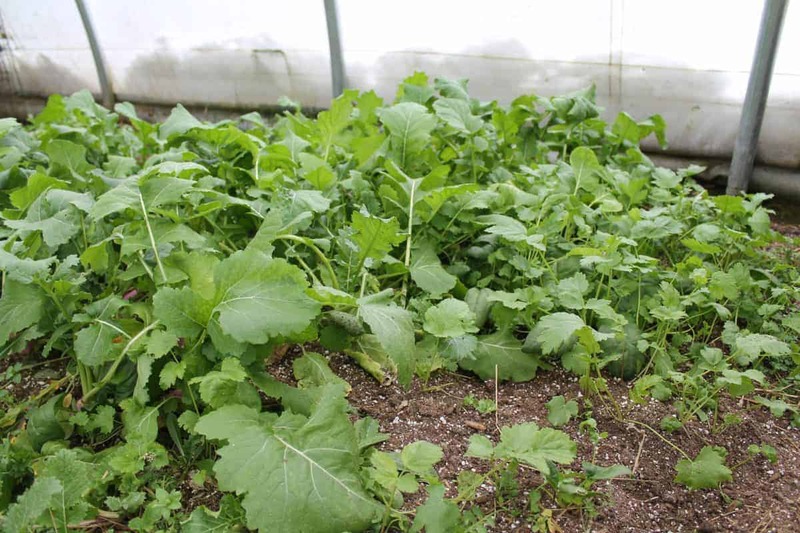 Have you found that raised beds in a hoop house are any more difficult to keep growing than directly in the ground?